It looks as though the talk of Platinum Dunes working on a new Friday The 13th sequel for Paramount Pictures is true as one of the producers from the company, Brad Fuller, took to Twitter to answer a fan's question about a potential sequel under their label and his response is pretty encouraging. Brad's response is that within the next month, Platinum Dunes will wrap their work on Teenage Mutant Ninja Turtles and Almanac and then they are moving onto Friday The 13th! Now, this doesn't necessarily mean that Paramount has greenlit the film yet, as Platinum Dunes was working on a sequel previously with hopes that Warner Bros. would give the go ahead to start production, and of course, that never materialized. 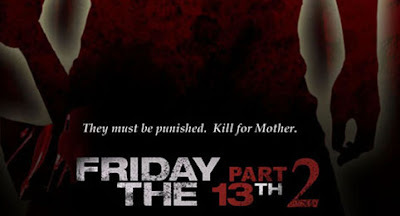 With that being said, with Paramount having a limited window to distribute a new Friday The 13th film and PD already having experience with the franchise, this already seems like a no-brainer for a partnership for a new sequel. We are very excited to find out more and we certainly hope that things get moving soon and that we could possibly hear about casting by Fall. Look for more news soon as this new film could possibly be on the fast track for a late 2014, early 2015 release! @superchecco we are wrapping TMNT and Almanac over the next month. Then we will start to work on F13 .